You can find answers to frequently asked questions about our drop-in service below. 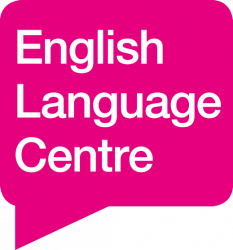 What is the English Language Centre drop-in service? Who can use the drop-in service? The drop-in service is available free to all students currently enrolled at the University of Lincoln whose first language is not English. Drop-in appointments take place on campus in person, so you must be able to travel to Lincoln. If you are not sure whether you are eligible for this service, please email englishlanguage@lincoln.ac.uk and we will advise you. Does the drop-in service provide proof-reading? No, we do not provide a proof-reading service. During your appointment, the teacher will show you where you have made errors and help you understand how to correct your own work. How long are the drop-in sessions? Each drop-in session is 25 minutes long. Where do I go for my drop-in session? For daytime appointments (12:00pm – 2:00pm) go to the Student Support Centre (in the Minerva Building). For evening appointments (5:00pm – 7:00pm) go to the Student Wellbeing Centre (next to The Swan). Inform staff on reception that you have a drop-in appointment with the English Language Centre and provide your Student ID card (or Student ID number) for them to check. How much work can the teacher help with during my drop-in session? If you are requesting for advice on writing, select 500 words for the teacher to focus on during your 25 minute appointment (1000 words if you have booked 2 appointments together). This will help the teacher to provide you with detailed feedback. If no selection is made, the teacher will decide which section of your writing to look at. Tell the staff on reception that you have a drop-in appointment with the English Language Centre and provide your Student ID card (or Student ID number) for them to check. Do I need to send my work to the teacher before my drop-in appointment? • your assignment. You also need to highlight which 500 word section you want to focus on. Email both items to: englishlanguage@lincoln.ac.uk. Try to do this 24 hours before your appointment; this will allow the teacher time to read your work before they see you. You can bring a printed copy of your assignment on the day, but we strongly recommend that you send work to us before your appointment to get the most from this service. How many drop-in sessions can I book per week? Students can book a total of 2 x 25 minute appointments per week (Monday – Friday). These 2 appointments can be on the same day, or on different days. If more than 2 appointments are booked, the last appointment(s) booked will be cancelled. Students are only permitted to book a total of 2 appointments per week to ensure every student has a fair chance of getting an appointment. How do I book a drop-in session? Book your drop-in session using our online booking system. What information will I be required to provide when making my booking? • how you heard about the drop-in service (also just for statistical purposes).